Dr. Lakhani graduated with H.S.C from Adamjee Science College (1979) and a MBBS from Dow Medical College (1987) in Karachi, Pakistan. 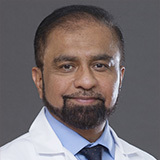 Dr. Lakhani completed his internship in Internal Medicine at Cook County Hospital in Chicago, USA (1989 – 1990). 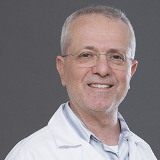 He then obtained a residency in Neurology (1991 – 1993) and a fellowship in Epilepsy (1994) from Loma Linda University Medical Center in California, USA. 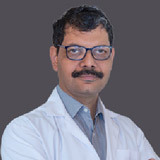 Dr. Lakhani had special training in Sleep Machine (1995) at the University of Stanford, additional training in Botulinum Toxin Injections for Movement Disorders, and completed an Intensive Review Course (1988) at Harvard Medical School. Dr. Lakhani has many years of experience in different facilities namely a Private Practice since 1994, John F Kennedy Memorial Hospital (1994 – 1997), Citrus Valley Medical Center (1997 – 2005), West Covina/ Eastland Medical Group (1999), and Greater Covina Medical Group (2000), USA. Dr. Lakhani interpreted more than 100 Polysomnograms/MSLT’s of varied complexities, ans more than 5000 EEG performed on the TECA machine including Video0EEG and 24 hour portable EEG monitoring. He performed 3000 – 4000 NCS/EMG Studies on Cadwell Sierra/ Nicolet. Dr. Lakhani is board certified by the American Board of Neurology and Psychiatry. Dr. Lakhani speaks English and Urdu.